The author is Animal Health and Production Officer at the Central Technical Unit, DGCS, Italian Ministry of Foreign Affairs, Via S. Contarini 25, 00194 Rome. Prof. A. Mantovani and the bibliographic research assistance provided by S. Gasbarra are gratefully acknowledged. Note. The views expressed are those of the author and do not necessarily reflect the opinions of the Italian Ministry of Foreign Affairs. Comments are welcome, and there has been a proposal to constitute an informal intersectional working group on the subject. D'ici à 2025, les deux tiers de l'humanité vivront dans les villes. Cela aura également une incidence sur le travail des vétérinaires et des professions apparentées qui sont traditionnellement associés à la gestion des ressources animales et aux soins aux animaux dans les milieux ruraux. Jusqu'à une époque récente, ils ont été attentifs aux problèmes liés à la présence d'animaux dans les zones urbaines et périurbaines. Cependant, l'élevage urbain, les animaux de compagnie et les animaux sauvages jouent un rôle essentiel en tant que sources non seulement d'aliments, de revenus, d'avoirs et d'investissements, mais encore d'emplois, de sécurité, de loisirs et de valeurs socioculturelles. Cette étude est consacrée aux principaux avantages et risques de cette coexistence et laisse entrevoir des domaines potentiels d'activité. Les principales catégories prises en compte dans l'analyse sont les suivantes: animaux destinés à la production; animaux de compagnie; animaux synanthropes (initialement sauvages mais adaptés à la vie à proximité des établissements humains) et animaux sauvages. Para el año 2025, se prevé que dos tercios de la población mundial vivirán en ciudades. Esto también influirá en las profesiones veterinaria y conexas que tradicionalmente se han ocupado de la ordenación y el cuidado de los recursos animales en medios rurales. Hasta hace poco, han concentrado su atención en los problemas asociados con la presencia de animales en las zonas urbanas y periurbanas. Sin embargo, la ganadería, los animales de compañía y la fauna y flora silvestres del medio urbano desempeñan una función fundamental como fuente no sólo de alimentos, ingresos, bienes e inversiones, sino también de empleo, seguridad, entretenimiento y valores socioculturales. En el artículo se examinan las ventajas y los riesgos más importantes de dicha coexistencia y se proponen posibles esferas de actividad. Los principales tipos que se analizan son los siguientes: animales mantenidos con fines de producción; animales de compañía; animales sinantrópicos (en su origen silvestres, pero adaptados a la vida en la proximidad de asentamientos humanos); y animales silvestres. In the year 2000, there will be more than 6 billion people in the world, half of whom will be residing in urban areas. Demographic changes have been very rapid since the Second World War and have occurred mainly in the developing countries (Table 1). In 1950, 29 percent of the world's population was living in urban settlements, and the two megacities of London and New York alone had more than 8 million inhabitants each. By 1990, city dwellers had reached the proportion of 45 percent (of the total world population) and 14 megacities out of 20 were found in developing countries. While in 1950 only 39 percent of the world's urban population was in these countries, in 1990 the proportion reached 63 percent. It is projected that, by the year 2025, two-thirds of humankind will be living in towns (UNFPA, 1992). These trends will of course concern the veterinary and related professions traditionally involved in the management and care of animal resources in rural environments. Since the founding of the ancient city of Jericho, the presence of animals in our cities has been acknowledged or recorded. In developed countries, the role of the veterinary profession in addressing needs of urban communities has long been focused on public health and hygiene (Bellani, Mantovani and Ravaioli, 1978; WHO, 1981). Emphasis was put on the problems rather than on the advantages associated with the presence of animals. Urbanization tends to increase health risks because of higher demographic densities and hence closer human-animal contact. However, it has been argued that, especially in developing countries, recognition must be given to the fundamental role played by urban livestock and wildlife as a source not only of food, income, assets and investment, but also of employment, security and recreation and as an element in socio-cultural values (Ghirotti, Gasbarra and Mantovani, 1988). · wild animals, including former pets. Source: WHO (1988); UNFPA (1992 and 1995). · natural and human-induced disasters (mainly drought and conflict) that have altered already precarious environmental and political balances and contributed to the "refugee explosion". In the last 20 years, the official global number of refugees has risen from 2.8 million to 14.5 million, the great majority being from Africa and Asia (UNHCR, 1996). The number of displaced people within the same country has also risen progressively, although reliable statistics are unavailable because many people are "invisibly" displaced and supported by their relatives or kinsfolk. They are farmers, pastoralists and small business people who have fled to towns in search of safety, shelter, food and work. During the 1984-85 drought, 35 million people were affected throughout Africa and there was a mass migration of 10 million people. Half of the total population of Chad and Mauritania, for instance, moved to neighbouring countries or capital towns (Fraser, 1988). Displaced communities have contributed to the growth of cities, and many refugee camps have been organized near towns. In Djibouti, 80 percent of the country's half a million residents live in the capital, and more than 200 000 are estimated to be refugees from Somalia and Ethiopia. The majority of the towns planned in the first half of this century are unable to absorb these consistent migratory waves. New suburbs named after the place of origin of prevalent ethnic groups appear in the periphery of metropolises. The pace of this population explosion has not allowed authorities and planners to develop and provide solutions and basic services, especially for the marginal segments of society. Long-term plans are jeopardized by immediate needs and continuous emergencies. The most evident results have been the vertiginous increase of slums and squatters and a rapid deterioration of environmental, hygienic and general living conditions, since the metropolises already had limited capacity to provide employment, food security, housing, sanitation and health care. Between 20 and 60 percent of the population live in substandard housing. High environmental pollution, social instability and insecurity are widespread, particularly in slums. By the end of the century, one-quarter of humankind will be made up of urban poor (WHO, 1988). Therefore, the provision of employment opportunities and the improvement of quality of life are top political and development priorities. Urbanization is associated with changes in food consumption patterns; together with human population and income growth, it is a major driving force influencing the global demand for livestock products. The diet of rural communities is higher in calories but less diversified, whereas city dwellers have a varied diet that is rich in animal proteins and fats and characterized by a higher consumption of meat, poultry, milk, dairy products and fish (Delisle in FAO, 1989; von Braun et al., 1993). Table 2 shows levels of intake of livestock products in different regions and country groups. In the last 20 years, livestock products, which have high implicit income elasticity, have become the preferred source of protein especially with higher incomes. In Mexico, chicken and beef are consumed by urban middle-upper classes and eggs by all classes, while tortilla and beans are the foods of the poor (Perali, 1989). In Bamako, more advantaged families consume milk almost daily, while half of the low-income households do so only weekly. Consumption of livestock products also depends on the ethnic group of origin, being higher among former pastoralists (Brokken and Seyoum, 1992). Similar patterns have also been observed in urban China, where poor households may spend up to 90 percent of their income on food. However, cities seldom contribute to the production of their food, which is often subsidized; generally, they simply consume it. The increasing demand has caused a rise in the importation of foods of animal origin. Even countries that were exporters of meat and dairy products in the 1960s have gradually become importers, notably in Africa. Over the last 20 years, the human population in Africa has increased by 2.9 percent per year, whereas agricultural production has risen by only 1.8 percent (FAO, 1992). In the same period, beef production increased by 1.4 percent, small ruminant meat by about 1 percent, poultry by 2.4 percent and milk by 3.8 percent. The demand is particularly high for dairy products. Over the last 25 years, there has been a sixfold increase in the volume of imports in sub-Saharan Africa, with an annual growth rate of about 8 percent. On average, one-third of the total milk consumption is met by imports. West African countries, where urbanization is quite marked, are responsible for 60 percent of the commercial milk imports by African countries, and this satisfies only 46 percent of total requirements. Although global food aid shipments of dairy products decreased from 445 000 tonnes in 1985 to 131 000 tonnes in 1990, in sub-Saharan Africa their share in total dairy imports rose from about 20 percent to more than 50 percent in the same period (von Massow, 1989; Brokken and Seyoum, 1992). · the business opportunities generated by the sector for small- and medium-scale investors. The entire range of farming systems can be found in cities: from traditional low-input farming to intensive livestock enterprises. Figure 1 illustrates the main steps in the development of peri-urban pig enterprises in Southeast Asia. Under pressure from the demand for selected products (in turn driven by adequate purchasing power of city dwellers), land scarcity and the need to increase productivity and efficiency, farmers diversify from the production of separate staple crops or livestock into integrated horticulture and animal husbandry. The most evident interaction is between feed (by-products, fallow pasture, tethering, semi-zero or zero grazing) and manure (Ruthenberg, 1980). However, they must be supported by appropriate price policies, technical knowledge and availability of inputs and services. Low productivity, wandering animals that damage home gardens, theft or accidents may jeopardize this integration. Further intensification may lead to specialized and commercial livestock enterprises. This activity is an important source of cash saving and food for urban households. Women and children in particular are involved in part-time backyard livestock production. Domestic animals can be readily sold in case of necessity, for example to pay for children's school fees and health care. Some landless production systems are the adaptation of traditional husbandry methods. Dairy cows, small ruminants, pigs, poultry, pigeons, rabbits, guinea-pigs as well as wild rodents that have now been domesticated (e.g. the cane rat, giant rat and agouti in tropical Africa or the capybara and lutias in Latin America) are kept extensively, using scarce grazing and feeding resources, such as household wastes. Moreover, urban fish farming is practised in small pools, rivers or in lagoons sometimes fed by sewage, as in Calcutta. In Kenya, 1.5 million livestock, owned by more than 50 percent of the households, are found in major towns. In Bangladesh, 91 percent of city households keep either livestock or poultry. In Cairo, 16 percent of the households in the city, and 30 percent in its slums, breed livestock. In Bamako, over 250 000 fowls and 60 000 small ruminants (on average four sheep and one goat per family) are found. In Bobo Dioulasso, there are more than 10 000 sheep and 3 000 goats: most flocks (70 percent) are found in the town rather than on the outskirts (Government of Bangladesh, 1986; Lee-Smith et al., 1987; Diarra Kocty, personal communication). 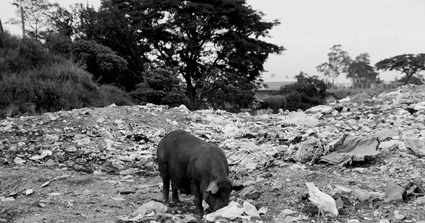 Ruminants can be seen grazing in the city's open spaces, road escarpments or river banks, while pigs and chickens are common scavengers of waste material. By converting organic refuse into valuable livestock products, these animals have a positive function: they reduce the quantity of refuse that would otherwise have to undergo costly processing and could sustain large communities of undesired species. In Khartoum, one-quarter of the refuse is recycled as feed. However, in the absence of efficient services or development programmes, the productivity of this informal sector is generally low (for example, see Table 3, comparing traditional and intensive pig production systems in Central America). On the other hand, various successful examples of smallholder dairy (and pig) development are well known. Compared with other on-farm activities, dairy production often provides higher financial returns and a rather regular cashflow in the household economy despite seasonal variations that also influence labour requirements. The most famous is India's Anand Model milk cooperatives, which involve about 8.5 million producer households, prevalently peri-urban. In order to increase small farmers' production, the "Operation Flood" programme developed a comprehensive service package: the organization of a network of village cooperatives, the improvement of research and extension services along with veterinary assistance, and the creation of physical and institutional infrastructures, including dairies in the major metropolises. A similar programme to rehabilitate the dairy industry has been implemented in Uganda. Still another example is a cooperative project involving about 3 000 smallholders in Kenya (Brokken and Seyoum, 1992), where 80 percent of the country's milk is produced by smallholders. 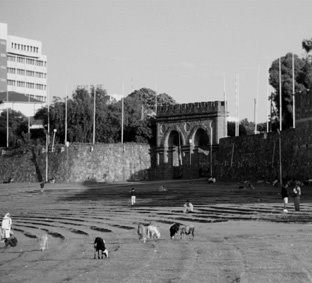 The project, which is located in the highlands around the capital, Nairobi, relies on good infrastructure inherited from the colonial period and on a package of measures, including Pennisetum sp. 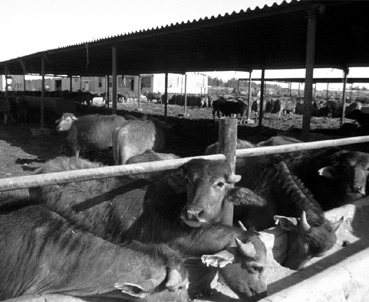 zero-grazing, the construction of cattle sheds, genetic improvement through the introduction of selected breeds and provision of artificial insemination services, control of major diseases (such as Theileria parva infection) that jeopardize programmes for the introduction of exotic high-yielding breeds and the improvement of farm management. Intensive farming can be found in urban and peri-urban areas where highly productive and exotic breeds are reared: piggeries in eastern Asia and in Central America, and poultry farms mainly in Africa and Near Eastern countries but also in Central America. About 90 percent of modern poultry production in Côte d'Ivoire is concentrated around the capital Abidjan and, in the Islamic Republic of Iran, more than 175 million broilers and 25 million layers are bred around Teheran (WHO, 1985). Commercial dairy units are found in the outskirts of cities, particularly in the highlands but also in less temperate areas where agricultural by-products are available. While in the past they were parastatal, nowadays most medium- and large-scale livestock enterprises are run by local business people, government officials and traders and sometimes by cooperatives. In Bobo Dioulasso, 26 and 19 percent of small ruminant flocks are kept by office employees and traders, respectively (Diarra Kocty, personal communication). However, private intensive dairy farms are not expanding, mainly owing to a lack of capital (Brokken and Seyoum, 1992). The main advantages of keeping livestock in towns are: the proximity of markets for different products; the availability of basic services and of information and inputs; and reduced additional costs incurred by transport, storage or entrepreneurs. In southern Asia, prices of mutton and goat meat in villages are half of those in towns and cities. However, large ruminants require abundant quantities of forage and other feed that must be bought and transported regularly from distant production areas. Fodder often represents the most significant expense of urban dairy farming. In India, the daily maintenance cost per dairy animal is lower in rural areas because of feed availability but the cost per litre of milk is higher because yields are lower. Owing to a lack of infrastructure and adverse climatic conditions, it is less risky to transport feedstuffs to town than livestock products. In cities, it is easier to control other major constraints such as diseases, inadequate genotypes (also in terms of late maturing breeds), insufficient technical and managerial skills, inadequate price and support policies and a lack of credit schemes. Roaming in search of food, scavengers may acquire and disseminate pathogens such as Salmonella sp., Campylobacter sp., Mycobacterium sp., Yersinia sp., Brucella sp., Leptospira sp., and parasite eggs (e.g. Taenia saginata, T. solium or Echinococcus granolosus). The higher concentration of livestock in urban areas makes the risk of disease greater than in the countryside. In Brazil, urban and peri-urban goats showed more antibodies to Toxoplasma gondii (70 and 92 percent, respectively) than rural flocks (32 percent). Pig, sheep, rabbit and chicken meat is also frequently infected by this parasite (Chiari et al., 1987). However, in Nigeria no difference was observed in the prevalence of T. saginata in cattle reared in rural areas (Okafor, 1988). The urban cycle of the latter parasite is more associated with intensification and lack of hygiene. · the exposure of staff to occupational diseases such as Rift Valley fever, anthrax, tetanus, brucellosis, salmonellosis, leptospirosis, tuberculosis, Ery-sipelothrix infection, Q fever, psittacosis and dermatomicosis. Industrial stock units can discharge large quantities of Salmonella spp. (a pathogen found increasingly in milk, eggs and poultry meat) and other enterobacteria or viruses, acting as "amplifiers" of infections to humans also. Swine (and avian) subtypes of influenza type A are known to spread easily to other domesticated animals and humans. Similar constraints are connected with dairy plants and abattoirs, which are frequently located near urban centres, and occupational diseases affect workers engaged in the manufacture of animal products. Table 4 shows the main zoonoses associated with meat handling and consumption. Large quantities of carcasses and offal are introduced into towns every day, as high numbers of livestock from ranches or nomadic herds are slaughtered to satisfy the increasing demand for meat. 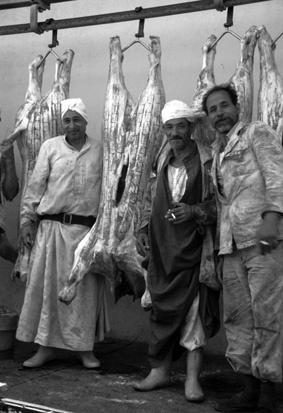 In Egypt, imported frozen beef and poultry meat are blamed for outbreaks of gastrointestinal diseases caused by Salmonella enteritidis, S. typhimurium or Campylobacter foetus (WHO, 1985). During important festivities (e.g. ld-al-Adha or Tabaski in Muslim countries, the Ethiopian New Year and Easter), thousands of small ruminants are brought from rural areas to be slaughtered privately by the consumer household in the courtyard or in the street. The introduction of these animals is generally supervised, as it represents an important source of revenue for local and national governments. Slaughtering systems can be classified as being with or without veterinary supervision. Most industrial systems usually benefit from such supervision, as it prevents losses incurred by the sequestration of non-inspected products. Environmental pollution and other health hazards that may threaten animal and human communities can be monitored through food inspection and in live animals. The presence of residues of insecticides, antibiotics and aflatoxins, contamination by heavy metals (e.g. fluorine or lead) and radionuclides, and biological hazards can be detected in meat, offal, milk, fish and honey and any abnormal conditions can be identified earlier at the abattoir. Veterinary inspection has the additional relevant role of avoiding frauds to consumers. In Cairo, a very sophisticated sanitary stamping system has been developed for this purpose. On the other hand, products from urban low-input systems, which are generally consumed within the neighbourhood, may bypass official slaughtering and distribution channels. In Central America, pig farmers detect taeniosis through tongue palpation. Animals found to have cysts are slaughtered in the backyard to avoid inspection and their meat is sold illegally. With inadequate slaughtering and disposal facilities, the abattoir can become a source of infection and pollution, attracting domestic and wild carnivores, rodents and flies, which are vectors of diseases. Hygiene problems are not limited to slaughtering but are also associated with incorrect processing and marketing practices. Under tropical conditions, food of animal origin tends to deteriorate more rapidly and become an important vehicle for gastrointestinal infections, thereby endangering consumers' health. Transport facilities are often inadequate and unhygienic. Most vendors lack refrigerators and products are displayed without hygienic precautions. Urban food distribution chains are frequently long and involve different intermediaries, which renders controls difficult. A good proportion of milk from smallholder dairy producers is consumed within the producing household or sold raw from door to door without veterinary supervision. 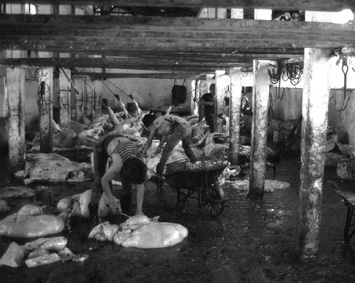 Other livestock-related industries, such as tanneries, are also found in metropolitan areas. Their waste water is extremely polluting (BOD up to 500 000 mg/litre) and it discharges highly toxic substances such as chromium tannin, lead and sulphide salts into the environment. The habit of purchasing and consuming meals and snacks prepared outside the home is typically associated with an urban lifestyle and 20 to 30 percent of household expenditure in developing country cities is on streetfoods (Delisle in FAO, 1989). Prices are lower than those of home-prepared foods, and this allows the intake of more animal proteins - also to low-income earners. The streetfood industry has undergone a rapid expansion in many countries, employing up to 25 percent of the workforce, mostly women. However, hygienic standards of urban food systems are usually low. Most stalls and kiosks are constructed from unhygienic materials and the water used for cleaning tools and surfaces is sometimes contaminated. Pathogenic micro-organisms that are indicators of faecal contamination, such as Escherichia coli, Shigella sp. Salmonella spp., Staphylococcus aureus and Bacillus cereus, are frequently present, and streetfood may cause outbreaks of cholera, hepatitis A, typhoid, amoebiasis and other diseases (Abdussalam and Kaferstein, 1993). Donkeys, horses, camels and oxen are usually used for the transport of building material, fodder and fuelwood or for garbage collection. In Mogadishu and Cairo, there are cost-effective systems of waste disposal, which rely on carts pulled by donkeys. Moreover, race-tracks offer townspeople employment and entertainment. Lifestyles, better living conditions, social insecurity and the need for companionship and protection have contributed to the sharp rise in urban pet populations, not only in industrialized countries. The coexistence of humans and companion animals provides many benefits, notably for old people, children and lonely or handicapped persons. For lonely elderly people, they are a valuable source of affection without risk of rejection. In children, a good relationship with these animals can be beneficial to personality development (FAO, 1975). Companion animals consist mainly of dogs and cats, but they also include several species of caged birds, small rodents and even reptiles or carnivores (WHO, 1981). Because of their close and continuous contact with people, pets should be considered as important sentinels for monitoring levels of dangerous biological and chemical pollutants (e.g. lead, asbestos or bronchial irritant agents and other allergens). Large masses of solid wastes, such as abattoir offal, household rubbish or market and street refuse, result in fairly stable stray dog and cat communities as well as other synanthropic species. The population density of dogs is up to nine times higher in cities than in rural areas (Oboegbulem and Nwakonobi, 1989). The urban dog/human ratio is on average between 1:8 and 1:10. In Mexico City and Montevideo, recorded values are 1:11.6 and 1:4, respectively (Szyfres, Arossi and Marchevsky, 1984). Pets can be classified into different categories (WHO, 1990). However, the most relevant determinant is probably accessibility, i.e. the possibility of treating and taking care of the animals. In Kathmandu, over 90 percent of dogs are accessible, which makes it possible to control diseases such as rabies (Bogel and Joshi, 1990). The proportion of controlled dogs is about 45 percent in Lima and 40 percent in Santiago. Individual ownership is associated more with middle to high incomes. Some traditional communities that have recently become urbanized may take care of the so-called "community" or neighbourhood dogs collectively, regardless of real ownership. In turn, these free-roaming animals provide protection by warning the community of external dangers, e.g. during civil unrest. Control programmes that undermine the role of pets in many socio-cultural contexts are likely to fail. · road accidents (WHO, 1990). Rabies is undoubtedly the most serious public health concern. Its urban form is characterized by dogs acting as maintenance hosts. It remains endemic in the Mahgreb and in Asia because of unvaccinated dogs in urban areas. According to WHO (1995), the disease is present in 114 out of 189 surveyed countries and the dog is the main source of exposure. The annual global number of human deaths from rabies is estimated to be between 35 000 and 50 000 on a population at risk of about 3 billion people. In 1995, more than 7 million people received post-exposure treatment in reporting countries and dog bites were the main cause. In endemic areas, there is a good correlation between cases of rabies in humans and reported dog bites; in El Salvador, the observed ratio is 1:1 500. Younger children are particularly likely to provoke animals and hence to be attacked. As already mentioned, predation is also a major cause of losses in urban animal husbandry; for example, two dogs can kill up to 90 sheep in one month (Coman and Robinson, 1989). 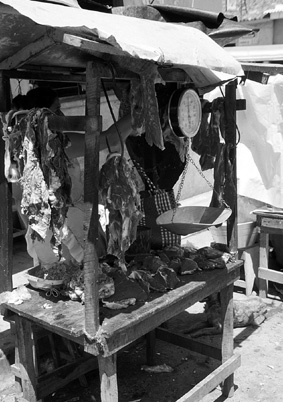 The urban cycle of echinococcosis is maintained by the presence of uncontrolled dogs which have easy access to infected offal because of widespread illegal slaughtering or abattoirs lacking effective meat inspection and disposal systems. In temperate climates, the urban cycle of the more pathogenic Echinococcosis multilocularis involves cats and house mice. In the Libyan Arab Jamahiriya, on average 8 percent of city dogs host E. granolosus. The prevalence was markedly higher in towns such as Tobruk and Tripoli, with 80 and 26 percent, respectively, because of the higher proportion of stray animals present (Gusbi, 1987). In Mogadishu, the cestode was found in 23.4 percent of examined dogs (Macchioni et al., 1986). In Kinshasa, Schandevyl, Mbundu and Sumbu (1987) reported 94 percent of dogs infected with Ancylostoma spp. and 35 percent with Toxocara canis, agents of cutaneous and visceral larva migrans, respectively. City parks and playgrounds are often contaminated with their eggs as well as with Salmonella spp. and Giardia sp., exposing children, especially, to health hazards. Dogs are a major reservoir of leishmaniosis. The urban cycle of this disease involves Leishmania major, the agent of the cutaneous form, which is also isolated from stray cats and rats and is transmitted by Phlebotomus papatasi sandflies (Michael et al., 1986). In Barbados, 42 percent of city dogs were found to be seropositive to Leptospira icterohaemorhagiae, L. autumnalis and L. australis, which are also zoonotic agents (Everard et al., 1987). Keeping cats and consuming raw or poorly cooked meat both constitute risk factors in the development of human toxoplasmosis, a disease that is particularly serious for pregnant women. In Beirut and Cairo, 78 and 59 percent of cats, respectively, showed antibodies and 10 percent eliminated oocysts through the faeces (Deeb, Sufan and Di Giacomo, 1985; Abdoul-Magd et al., 1988). Zoonotic mycoses from different domestic and synanthropic species are constantly present in urban environments (Table 6). Wild animals and birds have often found their favourite niches in our towns, which are oases that offer better surviving conditions than the degraded countryside or disappearing wilderness areas. The destruction of natural habitats has driven them to metropolises where they can find abundant edible garbage. Parks, forest preserves and game reserves within or in proximity to cities are important recreational sites for people to overcome their everyday stress. So contact with these animals is an important intellectual and educational stimulus, especially for children, and a source of enjoyment for people often living in poor settlements with scarce opportunities to get in contact with nature. Their controlled presence shoul also be defended to preserve biodiversity and to convert urban wasteland into wildlife refuges and garbage dumps into waterbird resting and breeding grounds. These refuges may be valid alternatives to zoos. Wild mammals and birds can be adopted as sentinels of environmental hazards. Given their high adaptability to different urban ecosystems, they tend to become synanthropic. Over the last 20 years, parallel to increasing urbanization, the list of wild species that have adapted to live in proximity to human settlements has grown considerably. These species, however, may become reservoirs of diseases of economic and public health concern. Synanthropic vertebrate or invertebrate animals are vectors or intermediate hosts of diseases dangerous to humans and livestock (listed in Table 7), all recorded in cities. Synanthropic vertebrates include not only birds and rodents but also hyenas, jackals, crocodiles, alligators and sharks, which are attracted by wastes from human activities, especially animal production. They are in almost continuous contact with human and livestock communities and may attack them. This is the case with hyenas and vultures, which act as sweepers in many East African towns; sharks that infest bays of tropical coastal capitals such as Mogadishu or Dar es Salaam; crocodiles present in African lakes or rivers; and alligators in swamps near Central American towns. Foxes and bobcats in Europe and North America, vampire bats in Latin America, mongooses in India and the Caribbean, skunks and racoons in North America, jackals and monkeys in Africa and Asia are all carnivores that are regularly seen in our metropolises and are involved in the transmission of rabies. Wildlife from game parks on the outskirts of towns may cause road accidents, especially at night, and attack and injure people or livestock. Wild ruminants may harbour diseases of veterinarian importance in subclinical forms - e.g. catarrhal fever, tuberculosis, brucellosis, foot-and-mouth disease, classical and African swine fever - and transmit them to urban livestock, thereby causing economic losses. In Australia, an urban cycle of E. granolosus has been reported, involving grey kangaroos, feral pigs and domestic dogs (Thompson et al., 1988). This is one example of the many complex ecological interfaces and mosaics that are taking place between domestic and wild communities. Besides transmitting diseases, rats, mice and other rodents consume or contaminate stored food and feed, making considerable quantities unsuitable for consumption. They may also cause serious household accidents (e.g. fires, short circuits) and attack children as well as old and sick people. Gerbils are permanent sources of urban papataci fever or leishmaniosis (WHO, 1981). Pigeons, seagulls, crows, marabous, starlings, sparrows and other synanthropic birds can foul parks, monuments, streets and cars. They are responsible for aeroplane accidents and in Japan they were found to be disrupting city train services by placing pebbles on the rails. They may spread pathogenic bacteria (Campylobacter sp., S. typhimurium, E. coli, Pasteurella multocida, Chlamidia psittaci), coccidia, fungi and cestoda eggs. Outbreaks of Newcastle disease, avian influenza or duck plague in urban poultry farms are sometimes associated with free-flying bird populations. Herons, flamingos, pheasants and other wild species that are now found in cities harbour ticks and highly pathogenic viruses, such as Arbovirus agents of equine encephalomyelitides complex or tick-borne encephalitis. Several arthropods are also adapting to areas characterized by heavy human activity. Tsetse flies of the palpalis group (such as Glossina palpalis gambiensis or G. fuscipes) are unaffected by the demographic changes taking place in sub-Saharan Africa, and cases of human and livestock trypanosomiasis are increasingly reported in cities such as Ouagadougou, Brazzaville, Libreville, Douala and Bamako. Tabanus sp. and Stomoxys sp. biting flies, mechanical vectors of the disease, as well as the Cochliomyia hominivorax myasis agents in livestock and humans, are common in several Latin American towns. 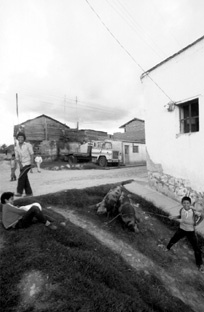 Triatoma sp., blood-sucking bugs, vectors of Chagas' disease, are frequently found in Andean slums (Acha and Szyfres, 1987). Every year, poisonous arthropods (including scorpions, wasps and spiders), snakes and aquatic animals cause severe local and general allergic reactions in urban livestock and people. Animal resources can play a critical role in offering employment opportunities and a better quality of life, particularly for low-income households, by satisfying basic needs of a burgeoning urban population in terms of food security, social status, companionship, recreation and cultural values. The goal of the veterinary and associated professions is to monitor and minimize the hazards and optimize the benefits - both of which are reviewed in this article - derived from the presence of animals in expanding metropolises. However, rapid changes challenge the professional capacity to provide effective responses. A reorientation, also influencing curricula studiorum, is urgently needed. Public services invariably concentrate their functions on the development of policies suitable for metropolises, supervision and quality control, the monitoring of risk factors, disaster (including epidemic emergencies) prevention and management, applied research and training. Instead, the delivery of clinical services, day-by-day technical assistance and the supply of inputs tend to be delegated to the private sector. International organizations could provide qualified assistance to municipalities and central governments for the development of coherent and comprehensive urban policies, the coordination of programmes from different sectors and agencies' non-profit strategic research. They could also finance specific development programmes and implement urban pilot projects to test and disseminate methods, techniques and strategies with the assistance of NGOs (including consumers' associations, cultural and religious groups, district committees), which can act as intermediaries in assisting different urban social groups to express their needs. A considerable amount of experience with the presence of animals in urban and peri-urban areas has been acquired so far. This vast but scattered knowledge must now be synthesized and the implications of urbanization understood in terms of future ecological changes and human-animal relationships. Further efforts are needed to monitor the evolution of the different livestock systems, to address the associated public health issues and risk management needs and to develop suitable policies and services to cope with the consequences of continuing urbanization. Abdoul-Magd, L.A., Tawfik, M.S., Arafa, M.S. & El-Ridi, A.M.S. 1988. Toxoplasma infection of cats in Cairo area as revealed by IFAT. J. Egyp. Soc. Parasitol., 18(2): 403-409. Abdussalam, M. & Kaferstein, F.K. 1993. Safety of street foods. World Health Forum, 14: 191-194. Acha, P.N. & Szyfres, B. 1987. Zoonoses and communicable diseases common to man and animals. Washington, DC, Pan-African Health Organization. Bellani, L., Mantovani, A. & Ravaioli, L., eds. 1978. Proceedings of the WHO Expert Consultation on some Veterinary Public Health Problems. Annali Istituto Superiore di Sanità, 14(2). Rome. Bogel, K. & Joshi, D.D. 1990. Accessibility of dog populations for rabies control in Kathmandu valley, Nepal. Bull. WHO, 68(5): 611-617. Brokken, R.F. & Seyoum, S., eds. 1992. Dairy marketing in sub-Saharan Africa. Addis Ababa, ILCA. Chiari, C. de A., Lima, J.D., Lima, W. dos S. & Antunes, C.M. de F. 1987. Sero-epidemiologia de toxoplasmose caprina em Minas Gerais, Brasil. Arquivo Brasileiro de Medicina Veterinaria e Zootecnia, 39(4): 587-609. Coman, B.J. & Robinson, J.L. 1989. Some aspects of stray dog behaviour in an urban fringe area. Aust. Vet. J., 66(1): 30-32. Deeb, B.J., Sufan, M.M. & Di Giacomo, R.F. 1985. Toxoplasma gondii infection of cats in Beirut, Lebanon. J. Trop. Med. Hyg., 88: 301-306. Everard, C.O.R., Jones, C.J., Inniss, V.A., Carrington, D.G. & Vaughan, A.W. 1987. Leptospirosis in dogs on Barbados. Israel J. Vet. Med., 43(4): 288-295. FAO. 1975. The veterinary contribution to public health practice. FAO Agricultural Studies No. 96. Rome. FAO. 1989. Urban food consumption patterns in developing countries. By H. Delisle. Rome. Fraser, C. 1988. Lifelines - for Africa in peril and distress. London, Century Hutchinson. Ghirotti, M., Gasbarra, S. & Mantovani, A. 1988. Azioni veterinarie nelle zone urbane dei paesi emergenti. Paper presented at the preliminary session of the Workshop on Public Health and Urban Development, Rome, 1 December 1988. Government of Bangladesh. 1986. Report of the Bangladesh livestock survey, 1983-84. Dhaka, Bangladesh Bureau of Statistics. Gusbi, A.M. 1987. Echinococcosis in Lybia. I Prevalence of Echinococcus granulosus in dogs with particular reference to the role of the dog in Libyan society. Ann. Trop. Med. Parasitol., 81: 29-34. Lee-Smith, D., Manundu, M., Lamba, D. & Gathuru, P.K. 1987. Urban food production and the cooking fuel situation in urban Kenya - National report: results of a 1985 national survey. Nairobi, Mazingira Institute. Macchioni, G., Marconcini, A., Testi, F., Balbo, T., Lanfranchi, P. & Abdullatif, M.A. 1986. Analisi della specie Echinococcus granulosus in relazione alla situazione epizoologica ed epidemiologica dell'echinococcosi idatidosi in Somalia. Annali Istituto Superiore di Sanità, 22: 281-284. Rome. Michael, S.A., Morsy, T.A., Salwa, F. Abou El-Seoud & Mostafa S.A. Saleh. 1986. Leishmaniasis antibodies in stray cats in Ismaliya Governatorate, Egypt. WHO Mediterranean Zoonoses Control Centre, Information Circular, 20(1-2): 6-7. Oboegbulem, S.I. & Nwakonobi, I.E. 1989. Population density and ecology of dogs in Nigeria: a pilot study. Revue scientifique et technique - Office International des Epizooties, 8(3): 733-745. Okafor, F.C. 1988. Epizootiology of Cysticercus bovis in Imo State, Nigeria. Angewandte-Parasitologie, 29(1), 25-30. Perali, F. 1989. "Food-feed tradeoff" - cambiamento tecnologico e distribuzione del reddito: il caso dell'industria avicola Messicana. Studi di Economia e Diritto, 38(1): 103-143. Quijandria, B. 1981. Swine production systems in Central America: limiting factors, prospects and research requirements. In A.J. Smith & R.G. Gunn, eds. Intensive animal production in developing countries, p. 279 -289. London, British Society of Animal Production. Ruthenberg, H. 1980. Farming systems in the tropics. Oxford, UK, Clarendon Press. Schandevyl, P., Mbundu, T. & Sumbu, W. 1987. Prevalence of intestinal parasites in dogs in Kinshasa, Zaire. Ann. de la Société belge de Médecine tropicale, 67(4): 369-374. Szyfres, L., Arossi, J.C. & Marchevsky, N. 1984. Urban rabies. The problem of lesion from dog bites. WHO Mediterranean Zoonoses Control Centre, Information Circular, 16: 1-11. Thompson, R.C.A., Lymbery, A.J., Hobbs, R.P. & Elliot, A.D. 1988. Hydatid disease in urban areas of Western Australia: an unusual cycle involving western grey kangaroos (Macropus fuliginosus), feral pigs and domestic dogs. Aust. Vet. J., 65(6): 188-190. UNFPA. 1992. The State of World Population. New York. UNFPA. 1995. The State of World Population. New York. UNHCR. 1996. Refugees, 8(3): April - June. von Braun, J., McComb, J., Fred-Mensah, B.K. & Pandya-Lorch, R. 1993. Urban food insecurity and malnutrition in developing countries: trends, policies and research implications. Washington, DC, IFPRI. von Massow, V.H. 1989. Dairy imports into sub-Saharan Africa: problems, policies and prospects. ILCA Research Report No. 17. Addis Ababa, ILCA. Walters, J.R. 1981. Peri-urban piggeries in Papua New Guinea. In A.J. Smith & R.G. Gunn, eds. Intensive animal production in developing countries, p. 275-278. London, British Society of Animal Production. WHO. 1981. WHO/WSAVA Guidelines to reduce human health risks associated with animals in urban areas. VPH/81.29. Geneva. WHO. 1985. Report of the Round Table Conference on Meat Hygiene in Developing Countries, Rome, 4-8 November 1985. VPH/85.60. Geneva. WHO. 1988. Urban vector and pest control. Technical Report Series No. 767. Geneva. WHO. 1990. WHO/WSPA Guidelines for dog population management. VPH/ZOON/90.165. Geneva. WHO. 1995. World Survey of Rabies, No. 31. Geneva.